The number one thing I try to do when throwing a party for my kids is of course to make them happy! Though I will admit, it is a little painful to spend time on a theme that feels too commercial. One thing I’ve learned is to take a few “store-bought” aspects of the theme and then fill in some fun homemade details. It adds a little heart to the party and makes the party feel modern and cool instead of super matchy-matchy. 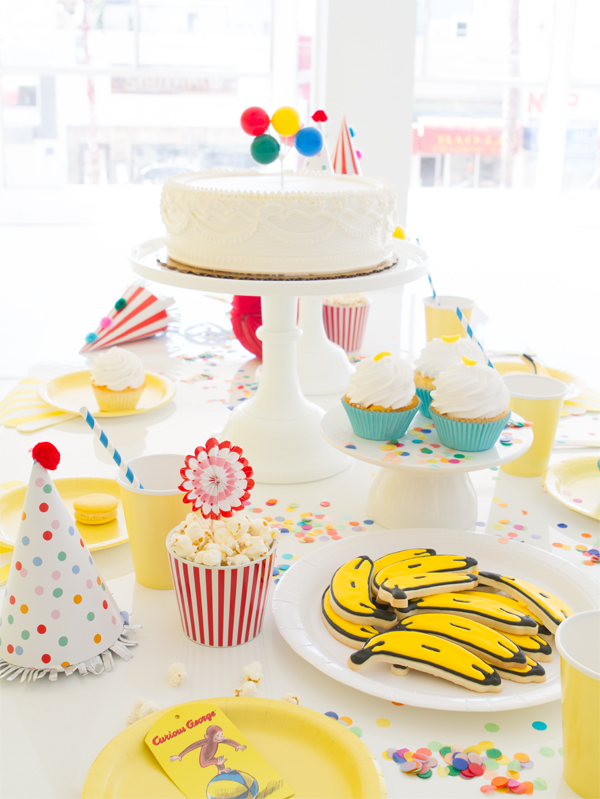 (See our Modern Spiderman Party and Modern Ninja Turtles Party right here!) 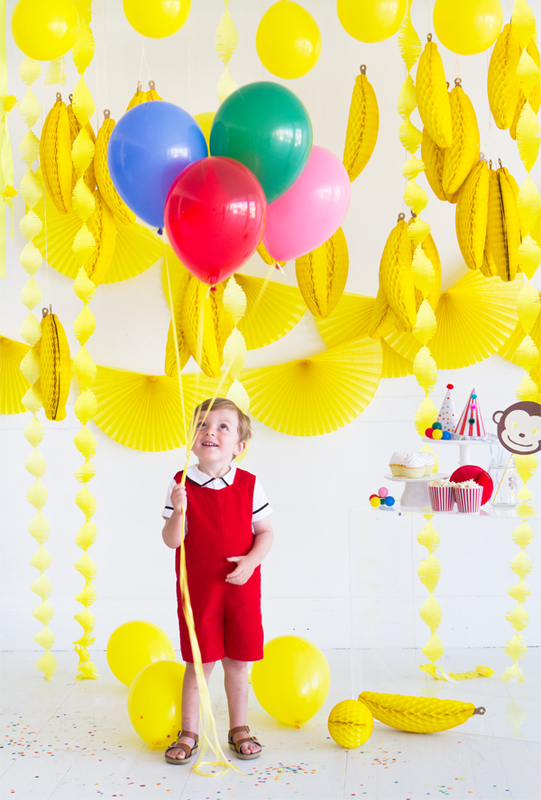 Today we’re throwing a Modern Curious George Party in collaboration with Hulu! My kids have always loved Curious George and it’s one of our favorite chapter books we read at bedtime. For this party we decided to focus on the color yellow (The Man with the Yellow Hat!) 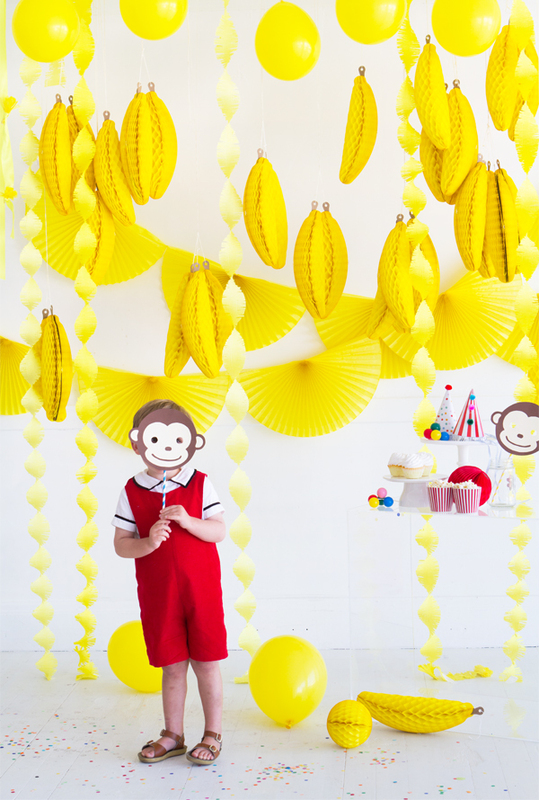 and a banana theme and then added in a giant stuffed Curious George and some details like homemade banana cookies and DIY monkey masks. Click through to see all the details! Hulu is now the only place where you can stream all 9 seasons (over 100 episodes) of the animated Curious George TV series. You can visit Hulu.com to start a free 1-month trial, for a limited time. Step 1: Use this tutorial (with crepe paper and scissors) to make a few strands of fringe garland. 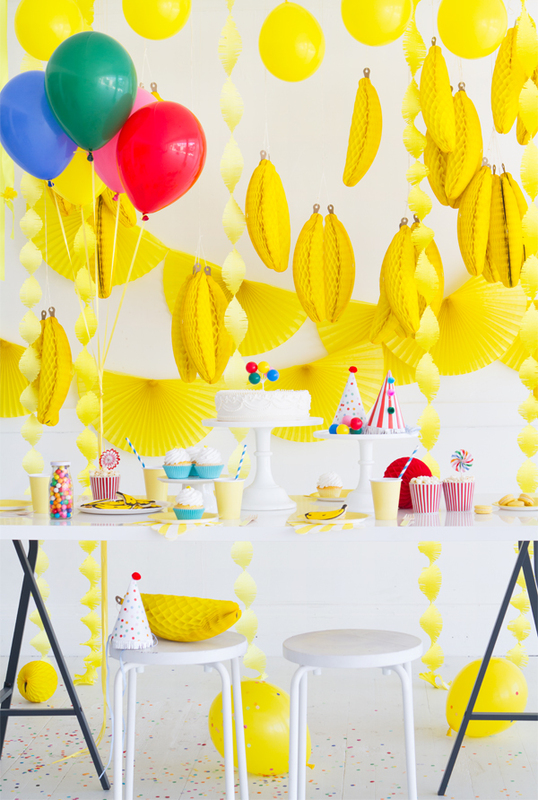 Step 2: Hang the honeycomb bananas in clusters at various heights, interspersed with fringe garlands. Step 1: Place all the toppings in small bowls around the table. Step 2: Right before the party (so the bananas don’t get brown), cut them into quarters and stick a straw in the bottom. Allow kids to make dip & make their own! 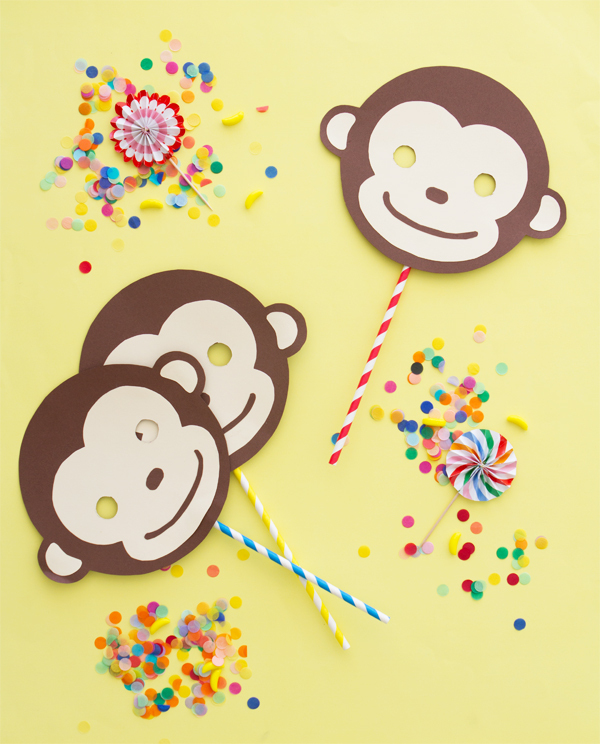 Step 1: Use the template to cut out and make the monkey masks. Step 2: Attach the finished masks to a colorful straw with tape or glue. For an activity, you can always have the kids watch a few episodes of Curious George on Hulu. See the trailer right here! Curious George is the best! I loved Curious George as an adult and now my baby loves Curious George too. Great Post! Simple but very effective décor. I always believe that its better to make home made décor for a themed party. Although it can very time consuming! I have always given my son themed parties that I have created all the décor for and the parties have always been a hit!! 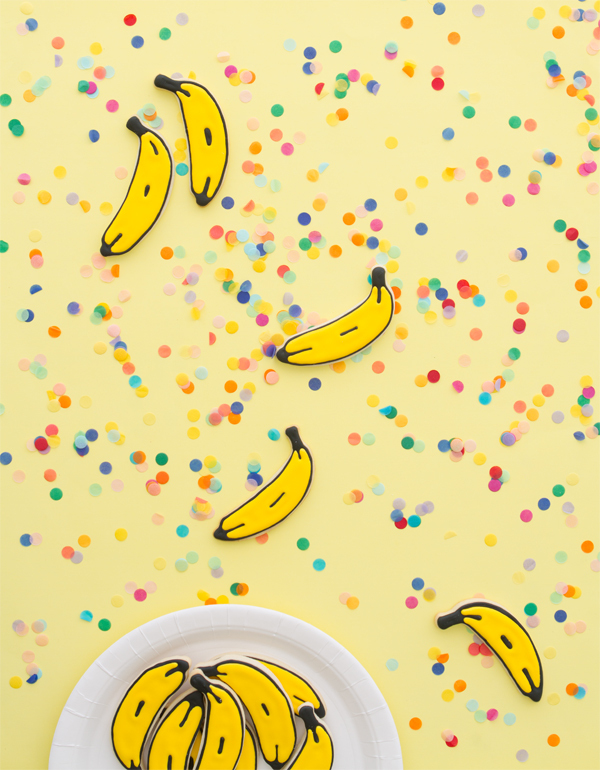 What a fun party with all of those bananas!!! So cute! 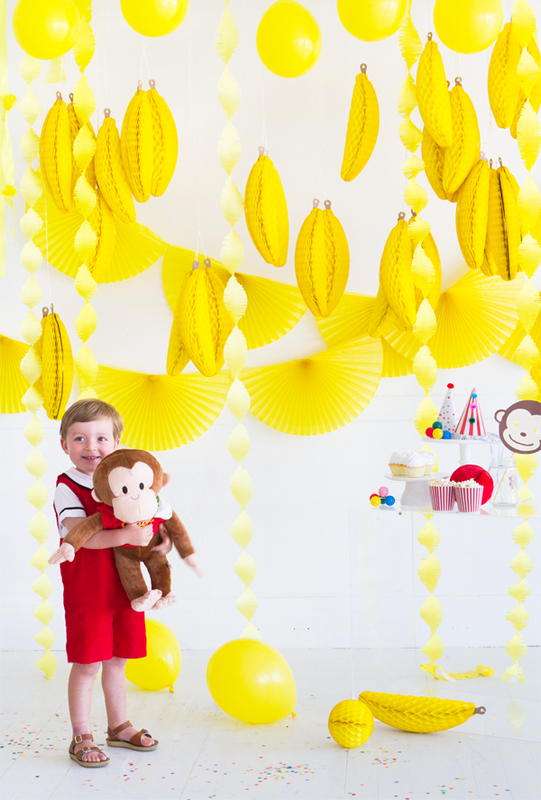 I actually had a Curious George party for my son last August for his 2nd birthday. 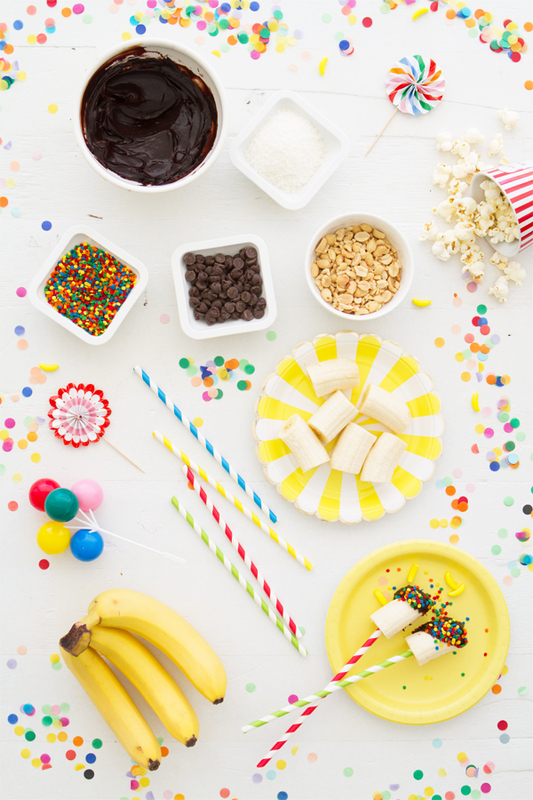 I went with a similar approach – yellow/brown colors and themed food. I wish I would have done those honeycomb bananas though! Any ideas on where his cute outfit is from or where to find one similar? Thanks! 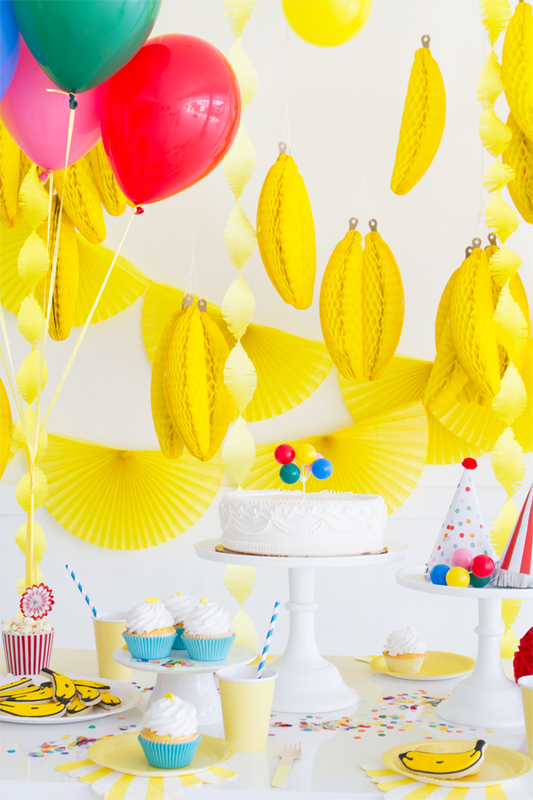 This banana decoration is too cool, it would even fit to a beach or jungle themed party!